Boys texting girls to “send nudes” is the new teen flirting ritual. Sexual harassment has been normalized. 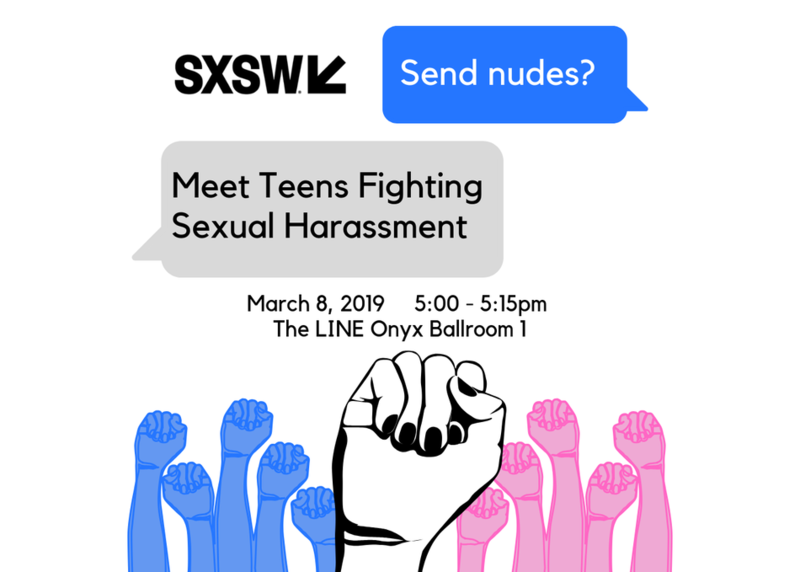 Hear horror stories of how high school is a breeding ground for sexual harassment and why existing adult-made solutions just don’t cut it. Learn how one teen has adapted Kathleen Reardon’s Spectrum for Sexual Misconduct framework to high school, how their Girl Alliance ambassadors, stickers, and social media sparked a cultural shift, and how adults can help unleash the youth voice.